The tumultuous life of Maharana Udai Singhji (1537-1572 A D) stands in marked contrast to the tranquility and beauty of the city that today bears his name. 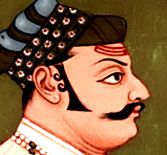 After narrowly escaping an assassination attempt, Udai Singhji lived for years in exile in Kumbhalgarh. He ascended to the throne in 1537 A.D., backed by the nobles of Mewar and returned to Chittorgarh to continue his rule. Emperor Akbar besieged Chittorgarh in 1567 A.D. Maharana Udai Singhji, having foresight into the barbarity in battle that would ensue and desiring that the Mewar line should continue, left Chittorgarh and sought safety in the valleys of the Aravali hills. Years earlier, Maharana Udai Singhji had created a lake and named it Udai Sagar. After his safe arrival in 1559 A.D. he founded the city of Udaipur and began to build a new palace on the shores of Lake Pichola. Thus, Udaipur, became the new capital of Mewar with its man-made network of Lakes. Today the city of Udaipur is renowned the world over for its natural beauty. The lakes, gardens and once abundant flora and fauna form a picturesque setting for the magnificent palace complex to be found here. 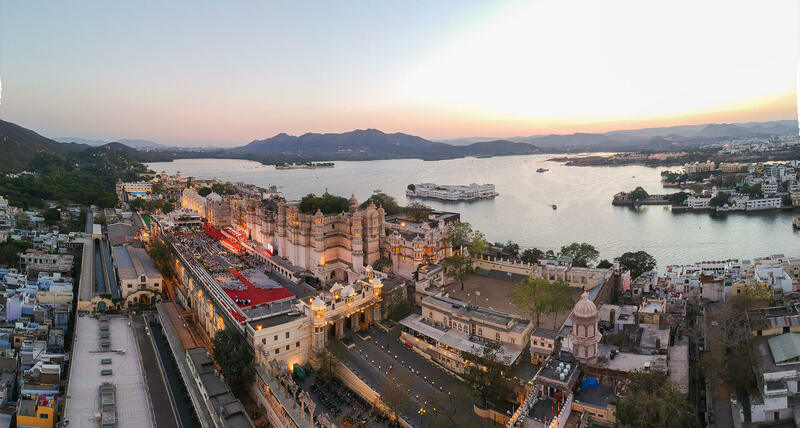 Udaipur is often referred to as the “Venice of the East” and such praise is testament to the far-sightedness of Maharana Udai Singhji and his successors. Today at the beginning of the 21st century, we are standing at the cutting edge of urbanisation, growth and development . In the 20th century, much of this development has been a product of unplanned hazard growth which has lead to environmental degradation. The issues of development and maintenance of environmental balance are inextricably linked. An amalgamation of these issues for environmental growth has been a central tradition to the House of Mewar. The city of Udaipur has served as a model of sustainable development from its conception to its current progressive development. The Maharana Udai Singh award is a national award. This award has been instituted to honour work of permanent value in protecting and enriching the environment, hand-in-hand with future development. The spirit of this great cause has been pursued by all the Maharanas of Mewar, and is epitomised by Maharana Udai Singhji’s creation of Udaipur.